A $3 million jury award to a North Texas family who claimed that nearby oil drilling operations caused severe health ailments has spurred fears of more lawsuits. Three years after a North Texas family alleged that a drilling company’s activities near their home were responsible for chronic headaches, nose-bleeding, wheezing and other ailments, a jury last week awarded them $3 million in damages. The decision, which still must be approved by a Dallas County civil court judge, is relatively unique and potentially significant. It suggests that even when oil and gas operators are technically following state and federal environmental rules, they could still be liable for being what state law calls a “nuisance.” Lawyers for the plaintiffs, Wise County residents Bob and Lisa Parr, say the case gives hope to those who believe they are suffering from the effects of drilling activities and cannot get relief from the state or federal government. But lawyers for Aruba Petroleum, the defendant, say the jury's decision should be thrown out because there is no evidence the drilling causes health problems. “It probably will give hope to plaintiffs and perhaps embolden them and their counsel to go forward with more of these claims,” said Marcilynn Burke, a professor at the University of Houston Law Center whose specialties include land use and natural resources law. But she said the decision hasn't set a precedent for future cases yet; that will likely take years of litigation. “Nuisance, I think, is an underutilized area of law,” said Brad Gilde, who represented the Parr family. "It's a safe haven for cases that may not survive elsewhere." The award has raised the eyebrows of lawyers on both sides of the issue, who agree it is likely to spur more such lawsuits, but it’s unclear whether similar claims would be successful. Even if the jury’s decision is affirmed, Aruba Petroleum will appeal, the company’s lawyers said. Aruba argues that drilling activity cannot be a legal nuisance if it is following state and federal regulations. A judge originally dismissed that argument by allowing the Parrs' case to go to a jury, but courts across the country have been divided on the question of whether such operations can be considered legal nuisances. 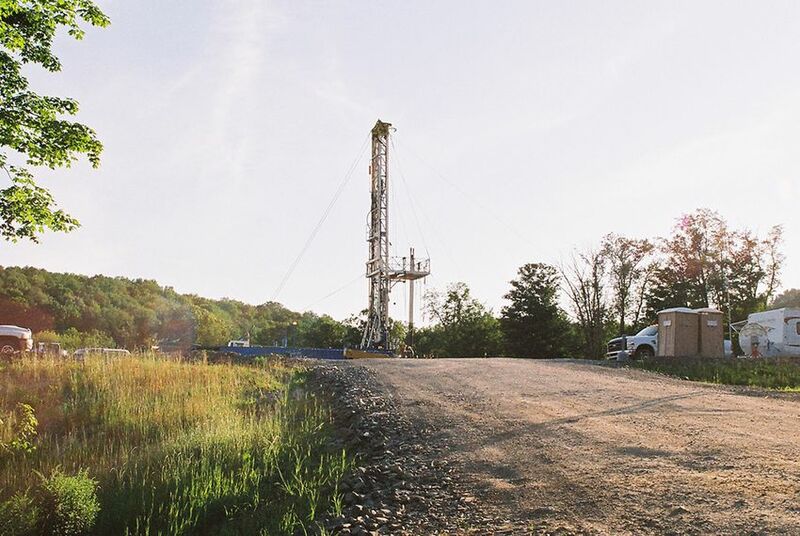 The evidence in cases that challenge drilling operations is also usually hotly disputed. An environmental chemist who testified for the Parr family said toxic compounds such as benzene and ethylbenzene — chemicals known as volatile organic compounds, which are typical emissions during drilling operations — were present at dangerously high concentrations near their home. The Parrs also presented evidence from a medical doctor who had diagnosed them with a neurological disorder called toxic encephalopathy, with irregular immune systems and with hives, and attributed those conditions to their exposure to natural gas condensate. But Aruba contests those allegations, pointing out that the Parrs smoke cigarettes and that the doctor only diagnosed them but never treated them. “There’s no reliable evidence that these folks were exposed to a sufficient dose of [toxic compounds] to cause the things they’re complaining to have,” said Michael Mazzone, a lawyer for Aruba. Research shows that unusually high emissions of certain VOCs can harm people and cause symptoms like the Parrs claimed to experience. Residents in South Texas’ Eagle Ford Shale, another hotbed of the state’s drilling boom, have reported similar health issues. But the Texas Commission on Environmental Quality has vehemently denied any link between drilling emissions and health concerns. As long as Aruba is following TCEQ’s emissions limits, which are also approved by the federal government, Mazzone said, a jury should not be allowed to change the standard. But the TCEQ has investigated Aruba multiple times for alleged emissions violations. In July 2010, the agency was notified of a strong, offensive odor in Wise County near one of the company’s gas wells that continued for several hours. The investigator who went to the scene reported “an effect of dizziness and a sore throat.” Air samples taken from the site indicated potential short-term and long-term health effects, the agency determined in its investigation report. A TCEQ report said that the odors “were of such frequency, intensity, duration and offensiveness as to interfere with the normal use and enjoyment of property for nearby property owners.” The report said that the company did not have the proper permits. The agency sued Aruba, a rare occurrence that resulted in a settlement and tens of thousands of dollars in fines for the company. Mazzone said Aruba has corrected all of its violations, and the company argues its activities have not harmed agency investigators or anyone else. Whatever the Dallas County judge makes of the jury’s $3 million award, Aruba has a hard battle ahead. Few such cases ever even make it to a jury; either a judge throws them out on the grounds that the company has followed TCEQ and other regulations, or the company comes to a confidential settlement with the plaintiff. Neither happened in this case, and if Aruba appeals, the continuance of a high-profile lawsuit could turn into a public-relations problem, said Burke, the University of Houston law professor. Burke also pointed out another potential problem for the company: Interest is accruing on the judgment. Litigation on the case will likely continue for years, and if the $3 million award is upheld, the interest on that number could grow significantly.